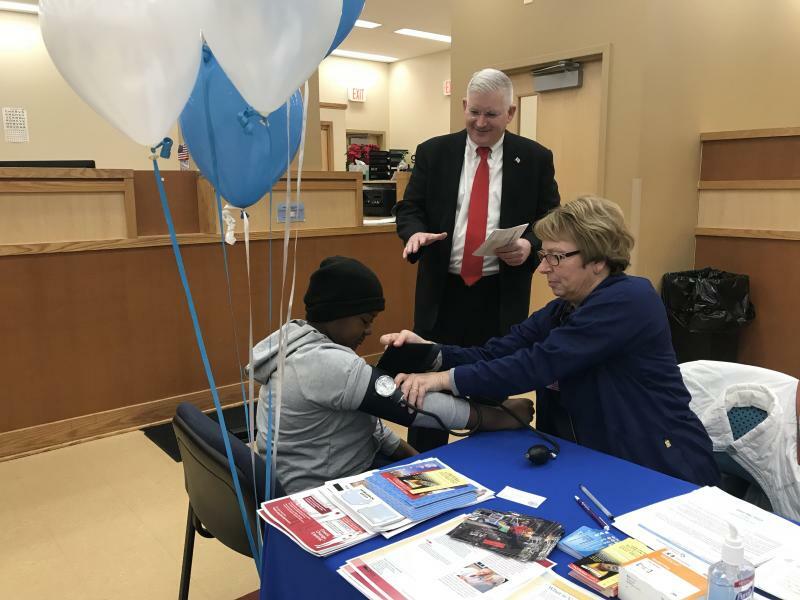 Buffalo teamed up to offer free blood pressure screenings at auto bureaus across the county. partnered to offer free carotid artery screenings at the auto bureaus. "Clerk's Wellness Collaborative" to help improve this statistic.